Hey guys! Today I have teamed up with Cricut to show you guys all the extraordinary hand tools and accessories that you can purchase from Cricut to really enhance your crafting. One of the most important elements when it comes to creating superior crafts in ensuring that you have the proper tools and equipment. No one knows true struggle until they have had to cut a piece of fabric with a dull pair of scissors. 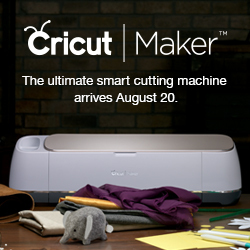 In this post, I am going to share with you all some details and incredible highlights about Cricut’s newest hand tools. So let’s jump right into it. This knife has a razor-sharp edge, a superior blade lock system, and a piercing tip. With this knife, you will have better control and impeccable results every time. The True Control Knife works with a wide variety of materials, including paper, cardstock, thin plastics, and canvas. This knife also has an amazing safety feature. You will never have to touch a blade because of the patented hands-free blade changing system. It also comes equipped with an anti-roll design, so you can be assured that the knife will stay put when not in use. A comfortable, cushioned grip makes this knife easy to use and makes for hand fatigue-free crafting! 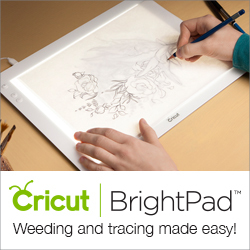 This extra-thick, double-sided, self-healing cutting mat is sure to pretty up any workspace. I always feel great when I craft in a pretty environment and this mat as functional as it is, makes for a great piece of craft room decor as well. I love the multi-angled grid lines on the one side but not only that, when I need a quick backdrop for a video, I just flip it over to reveal the decorative print side. When I am ready to cut or measure the easy-to-read numbers on a wide 1″ border a perfect for use with my rotary cutter and precision blades. The 12″ x 12″ and 12″ x 24″ reference marks to match Cricut machine mat sizes are a most perfect element of this mat. One important thing to note, though is that this mat is not for use in your Cricut machine. Let’s talk about the 60mm hand-held rotary cutter. With the help of this easy to handle hand tool, my fabric projects have never been quicker, easier, or more enjoyable! Everything about this tool is so great — from the comfortable handle which gives me insane precise control, right down to the quick-release button. The rotary cutter has a symmetrical design that makes it perfect for both right- and left-handed users so there’s no need to worry about buying different types. The quick-release button safely activates the blade and the sliding quick-release blade cover eliminates stray cuts when not in use. This is the first rotary cutter that I have used that is capable of cutting through multiple layers of thicker materials. You can cut easily through denim, batting, and so much more but it’s also great for lightweight materials as well. With the cutting ruler, you can make fast, clean cuts. There is a protective safety guard but one of the best features is the easy-to-read measurements. I don’t have to struggle to see my measurements. There is a protective guard that will shield my hands from sharp cutting tools. I also don’t have to worry about the ruler sliding around when in use. There is a textured, nonslip base that grips my work surface allowing for safety and control. This ruler is my go-to for any kind of measuring I need to do. First of all, I absolutely, love that it is 3″ in width. size, This ruler has such versatility and precision making it great for pretty much any crafting activity. I love the frosted finish A frosted finish allows for easy-to-see measurements that makes visibility on both light and dark surfaces possible. There are 1/8” increments making it easy to account for even the smallest details. I can’t forget to mention the angled lines at 30, 45, and 60 degrees that give you an edge at every critical angle. I have talked about the specifics of these tools but I just realized that the one thing that I failed to mention is just how pretty these tools are. The soft mint accent colours on these tools are sleek and chic and allow for my tools to become like decor when not in use. If you haven’t picked up some of these fab tools, there’s no time like the present! You will see how your crafting will improve! Have one or some of these tools already? Let me know what you think about them in the comments below!